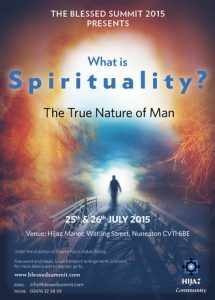 2015 Blessed Summit – What is Spirituality? 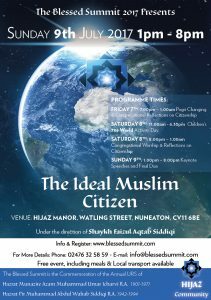 Hijaz Community invites you join us on a journey of exploring the spiritual expression of poetry, verse and music in Islam at our forthcoming annual Blessed Summit. 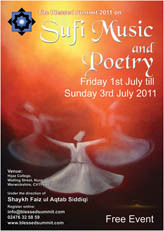 This event shall take place from 1st- 3rd July 2011 in the serene surroundings of the Hijaz College Islamic University, situated in the heart of the English countryside, giving you the ideal surroundings for self-reflection in a calm and serene environment. 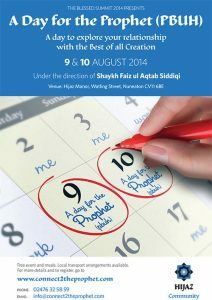 This year The Blessed Summit will include a series of talks, seminars and workshops on ‘Serving His Creation’. It is an opportunity to consider and explore the role an individual can play within their society from a fresh perspective. 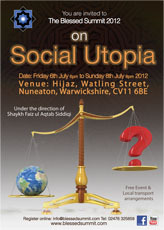 Hijaz invites everyone to ask the question, where does service to your Creator begin? Our conduct with the rest of creation could bring us towards a meaningful relationship with our Creator. The Summit is an environment in which the individual can discuss relevant topics and implications within this theme with a rejuvenating approach. Take a step outside of your box and look at your day to day conduct and the way you interact with the world around you. Do you like what you see or is there room for improvement? Would you do for a neighbour as you would do for yourself or are you living in a world where all you think about is yourself and personal gain? 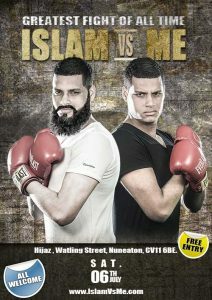 Do you like what you are faced with at your own doorstep? Would you prefer a room with a nicer view or are you happy with the view you currently see? Set in the serene and tranquil gardens of Hijaz College, the weekend is divided into a series of seminars and presentations by young professionals taking you through the seven stages of the ‘Umarian Realisation Process’. The Model is designed to give you a scientific and methodical approach to assessing your life objectively and making real positive changes with an aim to seeking true fulfilment. 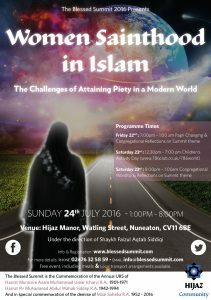 There will also an opportunity to meet the architect of the Hijaz Community model, Shaykh Faiz Ul Aqtab Siddiqi. You can arrange an appointment with him through your designated Summit Guide. Summit guides will be readily available to assist you with any queries you may have throughout the weekend.